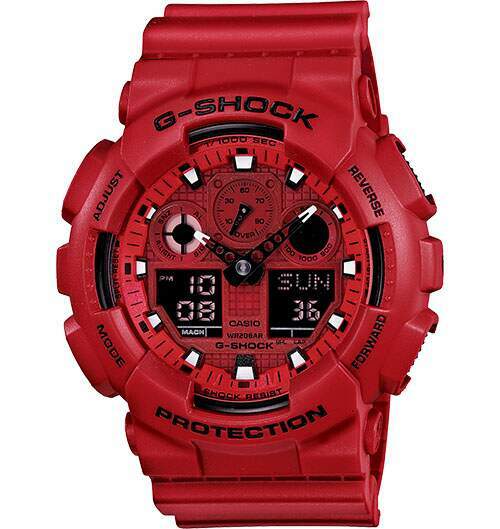 G-Shock's most popular large case analog/digital series introduces a new color collection, the GA100C's. The band, case and dial are a tone-on-tone matte red creating outstanding impact. The white color at the tips of hands and indexes creates unique accent and visibility. Red analog and digital watch with black and white tipped hands.